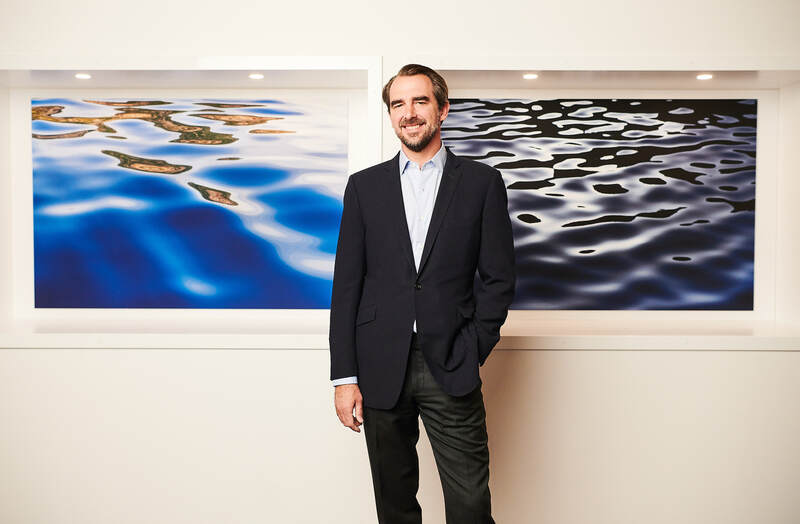 showcasing the beauty of the Greek landscape and surrounding waters through the lens of accomplished photographer, HRH Prince Nikolaos of Greece and Denmark. The photography is nothing short of stunning as the Prince’s love and innate appreciation of his ancestoral homeland focuses on bringing to life the unique shifting light, movement and colour that is synonymous with every season. Another special feature of the Exhibition is the one of a kind art pieces where the photographs have been printed onto panels of white marble taken from the awe-inspiring Greek island of Thassos. These collector items beautifully depict and preserve moments in time. Since moving to Athens in 2013 after his family was exiled from Greece over 50 years ago, the Prince has achieved acclaim as a high-end landscape photographer with his work also exhibited in cities such as Doha and London. Capturing the vibrancy of his homeland through the use of a camera appears to reflect not only the journey of light, but also the journey he has travelled as he pays homage to his Greek heritage. Make no mistake, this Exhibition, where the photographs are as authentic as mother nature herself, rivals any holiday brochure and would surely have many admirers yearning to visit, or revisit, the beauty that is Greece.